4397 N Sunset Cliff Drive, listed by Tierra Antiqua Realty, and priced to sell at 345K, made it under contract in only 47 days. Having almost 2,400 square feet, this two-story home boasts a pool, a spa, newish stainless appliances and air conditioning unit, granite counter-tops, 42 inch cabinets, tile on the main floor and more. If you are thinking of selling your Sabino Mountain home in 2016 give me a call at 520-615-2598 or email me at Donna@DonnaAnderson.com . Fourteen homes sold this year versus last year of 20 sales which reveals about a 30% decrease in the number of sales from a year ago. Of this years’ home sales – there was one in the 200 thousands, 4 in the 300 thousands, 2 in the 400 thousands, 2 in the 500 thousands, 2 in the 600 thousands, 1 in the 700 thousands and 1 in the 800 thousands and then a big jump to $1,450,000 for the only new home (located at the end of Sabino Mountain Drive). There were many price decreases for some of these homes and of homes listed for sale now, we still have two homes that have struggled to sell for over a year and one this has been on the market for almost a year. The real bright spot in our homes sold this year is the new contemporary sold very quickly (in 41 days) even though it was in a price-range (over a million) that is struggling for home sales in the Catalina Foothills (it sold for $1,450,000). There were 8 homes (including 3 sold by my company-Russ Lyon -Sotheby’s International Realty) that sold around 3 months or less. The main key is to price your home correctly right from the start. There were also 2 foreclosures that sold this year: one at 4035 N Boulder Canyon Place that sold for $531,107 and another at 4374 N Sunset Cliff Drive that sold for less than 300K (final sales price unknown). Both sold at foreclosure auction at the Courthouse steps. If you are thinking of selling your home in 2016, give me a call at 520-615-2598. I have sold 15 in our beautiful community. 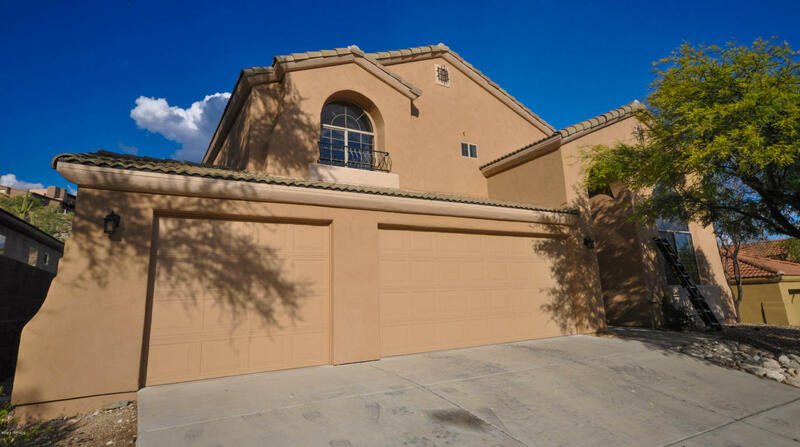 Sabino Mountain has closed its last home for the year: 4506 N Saddle View Drive, a 2,700 square foot, two-story home sold for 355K in a little over 3 month’s time. It was listed by West USA Realty. This recently remodeled home boasts 5 bedrooms, 3 baths with sparkling new quartz countertops; new 17″ tile and new stainless appliances. This represents the 14th sale of the year (including the two foreclosures – one on Boulder Canyon and one on Sunset Cliff Drive). Last year 20 homes sold in our community. If you are thinking of listing your home and it is a semi-custom or custom home that would sell for 450K-750K, this would be a good time to list your home for sale. When selling your home, timing has a lot to do with how fast it will sell. If there are none or few on the market the chances of it selling quickly are much better. 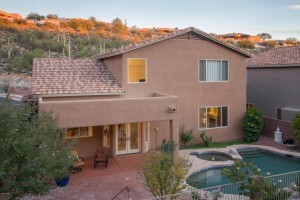 I can help you sell your Sabino Mountain home. Having resided here since early 2004, I have sold 15 in our beautiful community. Give me a call at 520-615-2598 or email me at Donna@DonnaAnderson.com. It is a good time to list a one-story Pepper Viner home for sale since there are none for sale and the snowbirds have come! There are two Monterey one-story homes for sale; both are of a similar floorplan. 2015 will reveal far fewer Sabino Mountain sales than last year. I will post the 2015 report at the end of this month. There are some rare high-notes, such as Russ Lyon – Sotheby’s International Realty sold a new contemporary at the end of Sabino Mountain Drive for $1,450,000. In fact this company stands out since it very quickly sold three homes this year. Give me a call if you are thinking of selling your home at 520-615-2598. You are currently browsing the Sabino Mountain Blog blog archives for December, 2015.